The Bell Qualifier DLX is a lightweight, full-face, DOT UTV helmet with a removable, washable liner inside and a full transitional lens up front. For comparison, PCI sells a pre-wired helmet “air” that works with an in-dash communication system for $350. This helmet is equipped with an air port on top to duct forced air in for dusty conditions. 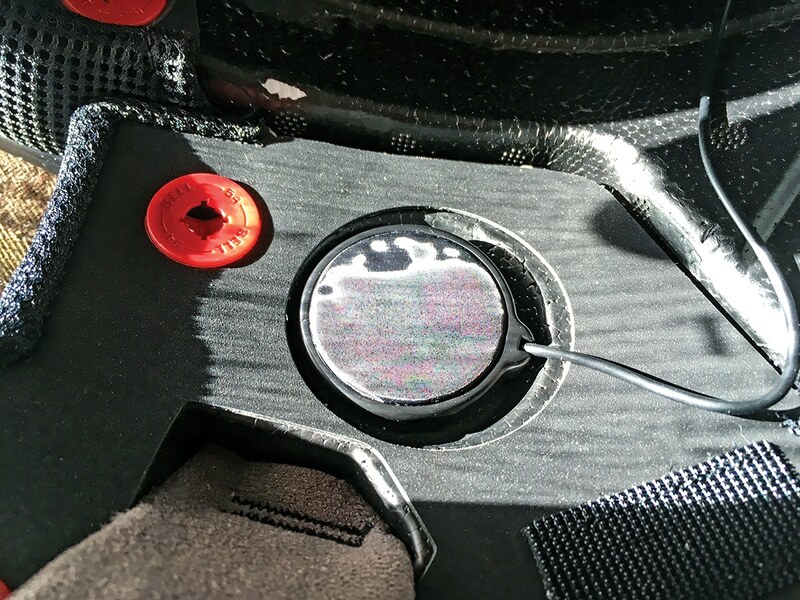 On the left side of the helmet there is a recessed window for attaching a communication system from either Cardo or Sena. You can install any communication system you want in this helmet. However, it has a custom molded area to accept some Sena and Cardo Bluetooth systems, making installation a breeze. We used an older Sena system for this test and it worked great. We found this helmet to be so quiet, it really helped us hear through the comms much better than when using other helmets. Super-soft antibacterial fabric makes up the padded liner, and we think it’s the most comfortable material you can find in a helmet. A hard foam inner layer and polycarbonate shell make up the rest of the helmet. 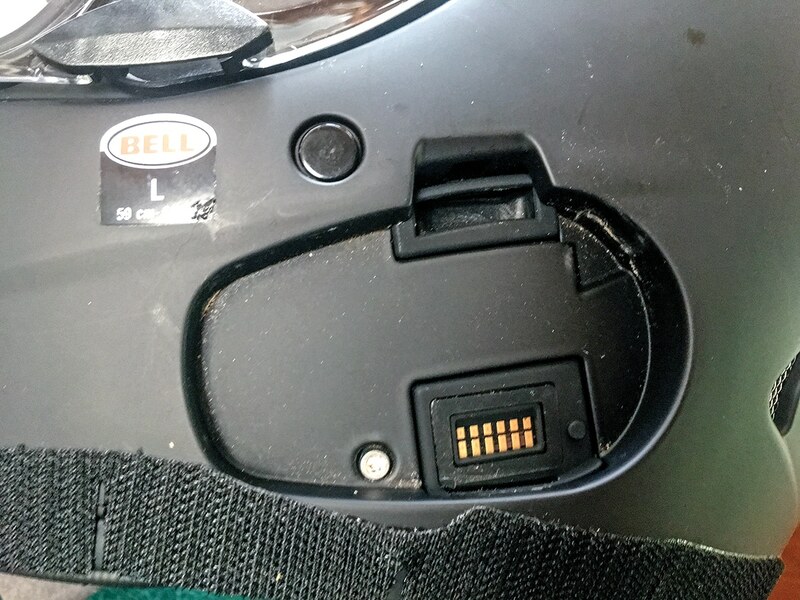 This helmet came with the air port and Transitions shield already installed. All we had to install was the Sena Bluetooth communications cradle, speakers and microphone. We simply unsnapped the helmet’s padded liner and then put the cheek pads in. On this helmet, Bell made shallow indentations in the foam for the speakers and a thin cutout for the cradle. The speakers sit in the ear pockets without squeezing our ears at all. 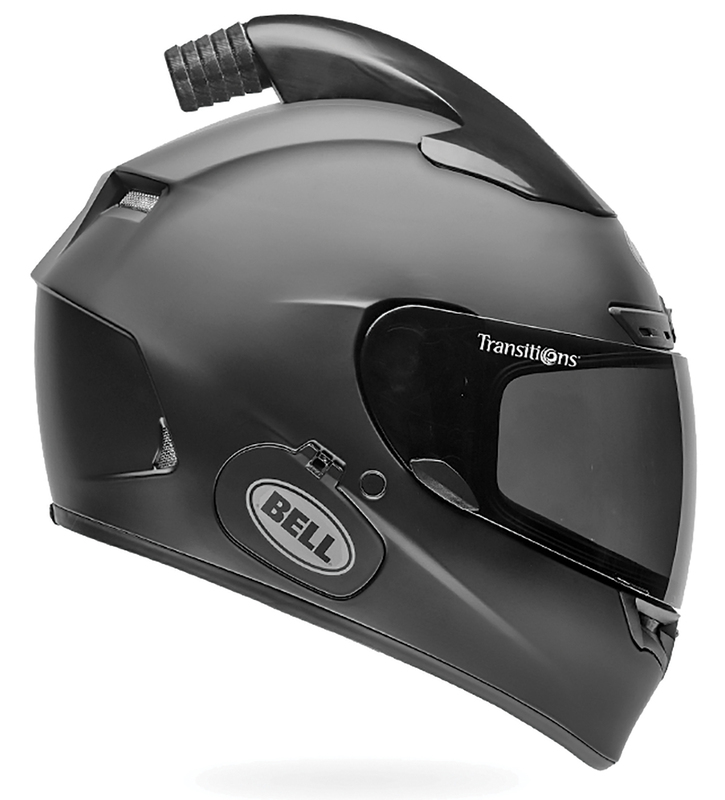 We ordered a large-sized helmet and it was pretty snug, so we think Bell’s sizing might be on the money, since most helmet-makers suggest a tight-fitting helmet for the best protection against injury. This is the first helmet liner we have seen with recessed sections for speakers to sit in. This keeps the hard speakers from rubbing on your ears all day, adding to this helmet’s great comfort attributes. The fit and function were perfect. The Transitions lens changed from dark to clear quickly in about 3–5 seconds. Bell includes a small chin collar that did a great job blocking wind noise. We noticed the reduced wind noise the first time out even before testing the comms or hooking the helmet up to air. The lower dust skirt does even more to block dirt and noise from entering the helmet. To try the air feature, we hooked up a Rugged Radios pumper system up to the helmet during a race car test recently. The airflow was pleasant and, like the outside noise, not too loud. Mostly we could feel the airflow to the upper sides of our head. You could tell fresh air was hitting our face, and the shield, too, because even on a humid day, the shield was not fogging up. Anyone looking for an ultra-comfortable, full-coverage helmet that may also appreciate communications and a fresh air system. Until recently all of those features together were only found in high-end Snell-approved race helmets. The Qualifier is still a safe helmet with DOT and ECE certification, just not with the extra expense of a full race helmet. So whether you ride in dusty or humid conditions, the pumper port will work for you and works with any PCI, S&B, Rugged or other fresh-air system brand. Bell is a helmet company, and all they do is make helmets. This is their first foray into the UTV market, and they hit a home run. The air pumper port works great, but keep in mind, it might hit on lowered or chopped roll cages. Bell is coming out with a helmet soon that has the air port on the side of the helmet for those with clearance issues. The Transitions lens is something we have been waiting for and are stoked that it comes standard on this model, so the fit and function of this helmet have made it one of our favorites for the money. This helmet is so comfortable at the end of a ride, we are not racing to take it off. In fact, our editor is still wearing the Qualifier DLX in the office as of writing up this review. DRIVE THE NEW HONDA TALON SPORT UTV WITH SUPERCROSS & MOTOCROSS STAR KEN ROCZEN!